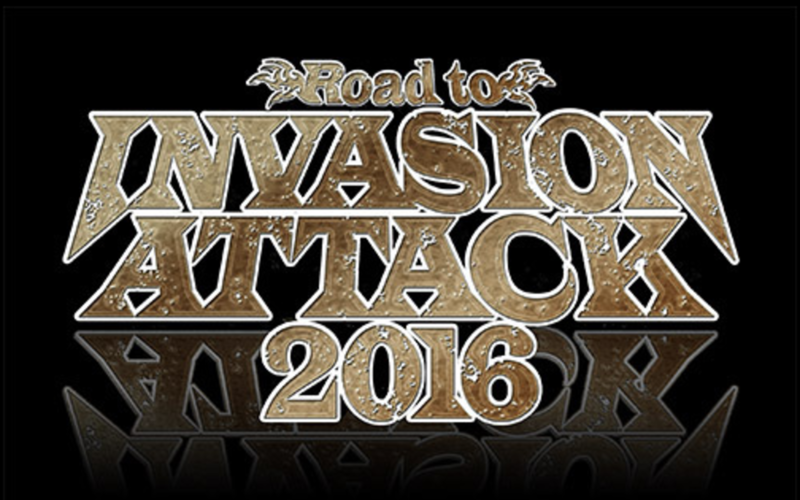 New Japan is back this morning in Korakuen Hall as the Road to Invasion Attack continues! On hand tonight is a six man tag featuring all of Los Ingobernables Japon taking on top members of Chaos. We’ll also see a big elimination match as the co-man, always a delight as these type of matches work pretty well in NJPW. Solid opener. These two are pretty good considering how many matches they’ve had. That’s the entire point of the dojo though, to refine basic skills until you can graduate to having matches, and here they had a basic match with some fun back and forth between the two. Kanemitsu had the Boston Crab on Kawato but the ten minute time limit expired, thus turning it to a draw. He stomped on Kawato after the match and looked upset. Good match. These two have pretty good chemistry with one another. White looked really good. People buy into him and got behind him whenever he did a comeback or had a clever counter. Finlay is also very good. Both have a ton of potential down the line. Finlay had White on his shoulders, but White escaped and managed to counter into a boston crab, the required finish for all young lions. Finlay tried to escape, but ultimately couldn’t and tapped. Pretty solid stuff. It was very much your usual New Japan six man tag, but but the crowd was into it and maybe a bit more shorter than usual. Kushida stood apart from everyone else in terms of skill, he’s just fantastic at this point. Romero worked on trying to get the mask off of Tiger Mask during the match but couldn’t do it. Gedo & Kushida had a fun exchange towards the end with Kushida getting the submission with the hoverboard lock..
Kushida cut a promo on Chaos after the match, then danced with his friends. That’s nice! Not that interesting. It’s not the best four guys I’d put together to have a match. Wound up as a brawl on the outside fairly quickly with Yano using chairs and the like outside the ring. Nakanishi made a hot tag, or whatever you’d want to call it, and took down Yano. Nakanishi took out Yoshi-Hashi as he and Yano battled it out. Yano used the ref to his advantage, grabbing and lifting him high in the air. When Nakanishi went to check on him, Yano low blowed him and got the win with a roll up. Good match. Largely a backdrop for the future NEVER title match coming at Invasion Attack, but still good stuff. Shibata and Tenzan went right at it at the bell. Kojima and Taguchi worked together as well, though wasn’t as interesting. Shibata kicked Tenzan right on the face on the apron, sending him crashing to the floor. He managed to get up rather quickly to be tagged in for the comeback. Maaaaaybe sell that spot a bit more. Kojima and Taguchi went at it for a while. Taguchi blocked a lariat attempt but after hitting a boma ye and attempting his own finish, Kojima clocked him with a lariat and pinned him. Shibata and Tenzan continued to go at it after the match, with referees and young lions having to pull the two apart. Pretty fun match. Most elimination matches in New Japan are, as they’re pretty much full of action from start to finish. Everyone got a chance to shine early. Elgin came in and destroyed Yujiro, giving him a buckle bomb. Omega tried to stop it, but Elgin grabbed him off the top rope and powerbombed him into Yujiro, allowing Elgin to eliminate him with a powerbomb. Elgin and Omega fought to the outside of the apron where Elgin gave Omega a Death Valley Driver onto all of his opponents on the outside. Robinson made a comeback but Roa and Tonga hit their new finisher and pinned him, evening the odds. Honma fought back but got eliminated after a huge dropkick by Roa, sending him off the top rope to the floor. Roa was eliminated after two lariats to the outside, and soon after that both Tama Tonga and Makabe eliminated themselves going over the top rope. All that’s left is Tanahashi and Fale. They have some good back and forth until Tanahashi gets the win with a hurricanrana into a rollup. At least, that’s what they tried, but the execution wasn’t exactly there. Fale beat up on Tanahashi after the match. They’re still teasing something with these two as they’ve squared off on and on since New Beginning. Fun main event. Everyone worked with one another and everything built up pretty well. Okada and Naito worked against one another and looked really good. They’ve had great matches in the past, so Invasion Attack shouldn’t be any different. Goto cleaned house as Okada set his sights on Evil. Bushi tried to interfere but was immediately given a Rainmaker. Evil came in but got tombstoned, then pinned after another Rainmaker. Okada was about to do his promo, but Naito (after acting calm and tranquillo following the bell) ran in and took out Gedo. Okada chased him out as he cut a promo on Naito to close out the show. Fun show overall. Nothing blow away, but if you like elimination and multi man matches, along with a couple of rookie bouts, this show is right up your alley.